Yesterday I had the first surgery in my life and it supposed general narcosis. Not a complicated one but I was a bit afraid. Plus I find anything going bad with my health quite disgusting, I don't like myself in this situations. Anyway, I tried not think too much of it but instead I had intersting dilemas as: what do you wear when you go for a surgery? I bet there is code of good ladies about it. But that I decided easy, it will be something very very casual, close to looking like nothing. Ok, what about make up? I usualy wear little make up but a bit of lipstick and mascara is part of showing myself in social ocassions. Being a surgery in the area of my head (no, not a plastic surgery!) I thought would be not ok that Frau Professor watches blue eyelashes and red lips on a corpse under narcosis. I know, it was all ridiculous thoughts but I couldn't stop it. Then I decided that there is something that, even when I look like a phantom, I can't without. A perfume. I can't without a perfume. It was my absolute love, L'Heure Bleue. I went into deep sleep and woke up with it. I put enough to be sure it gets through everything and everybody will feel my L'Heure Bleue. For this, at least, it was a good day. Now, a day after surgery, still dizzy after narcosis, I received new samples. I should have waited but I couldn't. 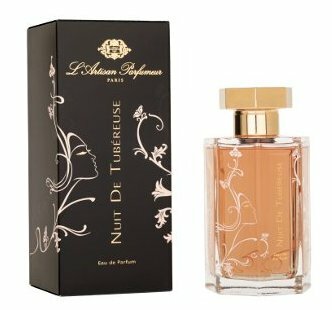 So I have Nuit de Tubereuse of L'Artisan Parfumeur on my left hand and Vamp a NY of Honore de Pres on the other hand. I tried them first on paper and I had soapy on Nuit de Tubereuse and sweet on Vamp a NY. But I'm not good at trying perfumes other then my skin. I love tuberoses and I can hardly wear them (I hate that, I would so much love to talk in other terms then what I can wear and what I can't, but I can see all around that's the same for everybody). Anyway, for me tuberoses yell. They yell so bad I can't forget about them when wearing them. Still, I am adicted to smelling them and I was waiting for so long for these new ones. 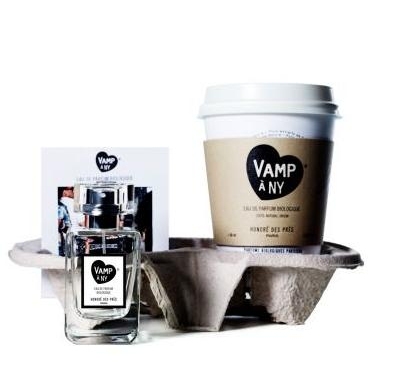 Vamp a NY: that was strange. May be I don't know too much about perfumes. It was something powdery and dry, beyond the obvious sweet and gourmandy notes, it was that something which reminded me of Dzing!. It just came like that to my nose. So I went very very fast to http://www.nowsmellthis.com/ to check if Olivia Giacobetti is also the perfumer of Dzing, as I realized it might be. And she is indeed! I can't tell you how full of myslef I am. Vamp a NY is that rooty thing that everybody talks about. 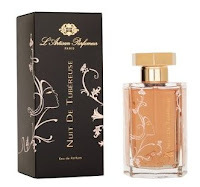 It's a tuberose from down down and it comes from hot islands. It's a happy perfume, the room where I left the paper was full of sunny exotic fruits and blossoms. It also has something heavy in it when you smell it on the skin. Today I love both of them. Great works. Graindemusc asked recently something about launch fatigue. Oh, in general, yes, I could pass so many of new launches. But there are these days when you meet new beautiful ones and it pays for all of them. Two tuberoses and so different and so good.